In-hospital medical errors often lead to the so-called “never events” of wrong site, procedure, patient (WSPEs); preventable errors including wrong/expired/recalled/defected medication, wrong diagnosis due to medical exams disordering, inaccurate therapy due to non up-to-date patient’s EHR. Despite ongoing efforts in optimizing safety rules worldwide, “never events” still occur. Therapia@Hospital is Therapaenis’ proposal for an integrated, in-hospital, Medical Management Information System (MMIS). 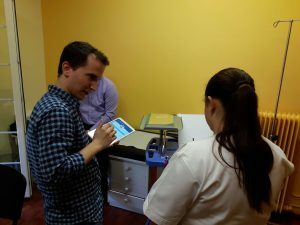 Therapia@Hospital is not only protecting both patients and medical personnel from the threat of “never events”, but it is also offering an innovative, automated smart hospital treatment service. Based on dynamic smart tags and a state-of-the-art software platform, Therapia@Hospital MMIS allows for real-time drugs/pills lifetime/aptness verification and medication administration, patients’ identification and association with drugs and medical exams, as well as real-time quality assessment, through exploitation of (dynamic) smart tags (i.e. exploring medicine storage time, place, temperature, humidity) and acts as a medical treatment coordinator for doctors, nurses, clinicians, carers and patients. 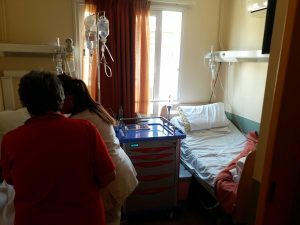 Therapia@Hospital MMIS is implemented under the MATiSSE project and leverages the power of smart tags through the TagItSmart! platform. TagItSmart! enabled tags can be attached on numerous entities (medication, patients, examinations, and much more) within the hospital, unleashing a multitude of smart capabilities in numerous smart hospital use cases. Technology is moving networks ahead, evolving Internet to a network of connected “things”. 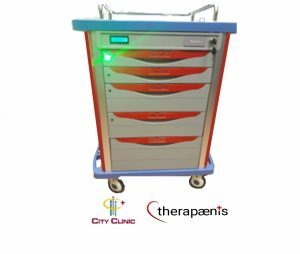 With the help of smart tags and a state-of-the-art software platform, Therapaenis creates the Internet of Everything within the Smart Hospital ecosystem, allowing for both interoperability among diverse devices and secure information sharing among diverse, yet cooperating, actors within the hospital. Knowledge is power and knowledge builds on Data. 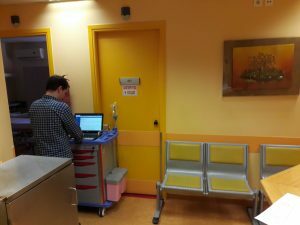 Increasing number of devices within the hospital generate enormous amounts of data, carrying significant knowledge, which, however, requires considerable effort in data analytics to be revealed. Therapaenis boasts of a strong technological background in big data and streaming analytics, properly exploited in the healthcare domain. A lot of devices and a lot of data… Requirements on computing and storage resources are now stressing than ever. Cloud computing provides the required scalability in processing power, memory, storage, along with robustness, high availability and diversity which guarantee the security of critical data, as are the health data. Therapaenis uses advanced cloud computing technology to handle eHealth big data and ensure their online availability. 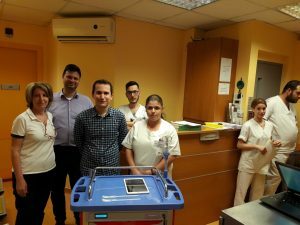 The Smart Medical Cart integral part of the Therapia@Hospital MMIS has been successfully validated in real conditions that took place at the City Clinic, Athens. Benefit from a new generation of insurance contracts based on Therapia@Smart Hospital MMIS adoption in public or private hospitals. 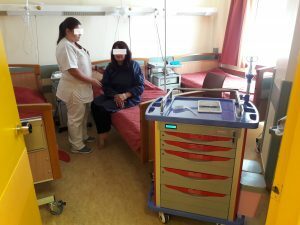 Please note that Therapia@Hospital is under development and pilot validation via the MATiSSE project (funded under the European Commission H2020-688061 TagItSmart! project Open Call). First results are expected during the second quarter of 2018. 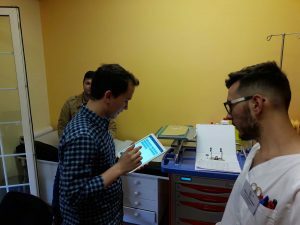 In the meantime, stay connected with the latest Therapia@Hospital/MATISSE news! For further information, drop us a line here. The MATiSSE project is funded by the H2020-688061 project TagItSmart! (Smart Tags driven service platform for enabling ecosystems of connected objects), under the Horizon 2020 Framework Programme of the European Commission.